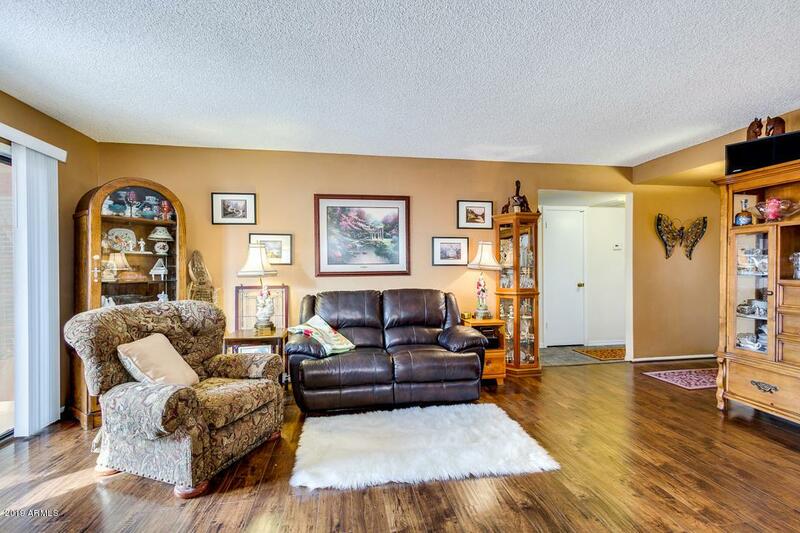 This Single Family Detached Home situated on a corner lot in Sun Lakes Country Club. 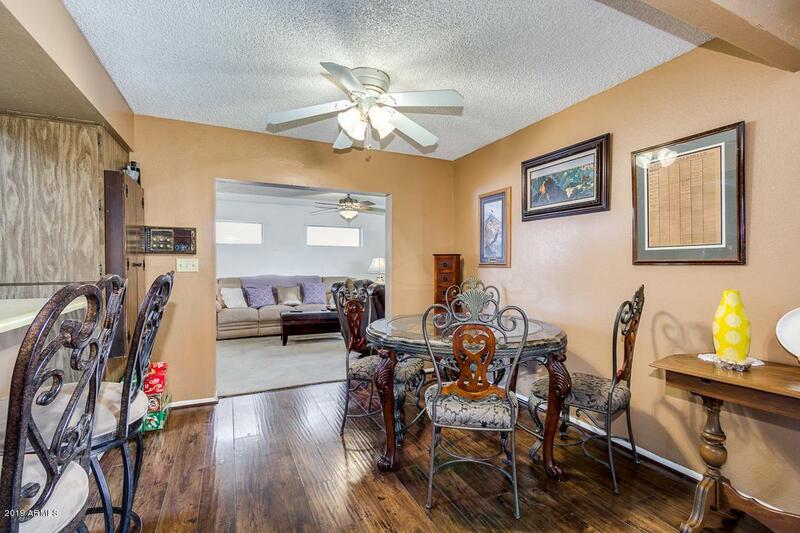 This home has a large living room with newer laminate wood flooring. Formal Dining area opens to Living Room and Kitchen. 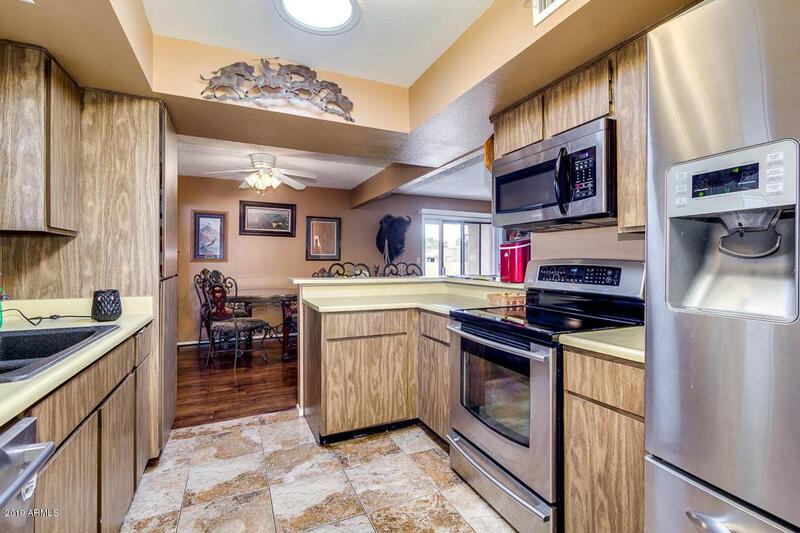 Kitchen features Ceramic Tile Floors & Breakfast Bar. Separate family room with fireplace.. The Master Bedroom has a Separate Exit to the Backyard. 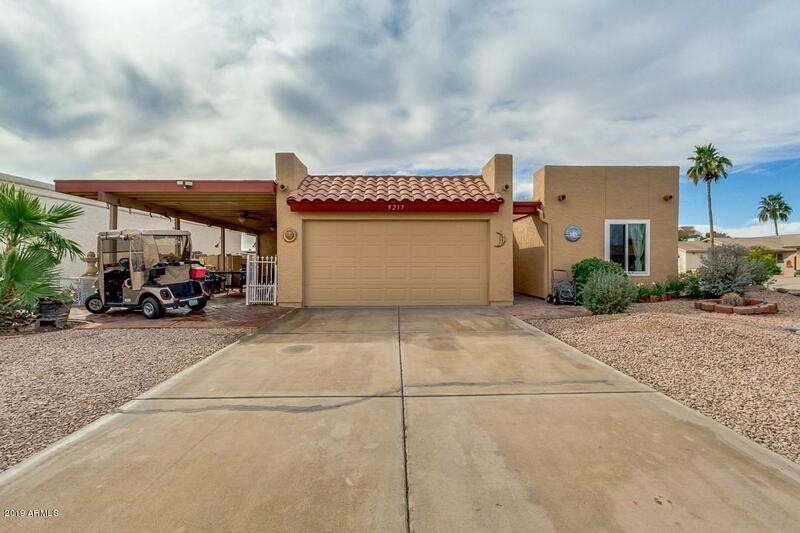 Spend quiet evenings on your large covered patio on East side of house. Beautiful Saguaro in the front yard and fruit trees in the back yard. This home is just steps away from Clubhouse, North patio & Golf Course. Come see the great amenities that are in Sun Lakes. Sun Lakes residents can use any of the Sun Lakes(5) clubhouses and restaurants. The premier adult community in the Valley is Sun Lakes.